All SIX What on Earth Stickerbooks covering the entire curriculum from History, Nature, Sport, Science, Shakespeare and the latest Stickerbook British History. 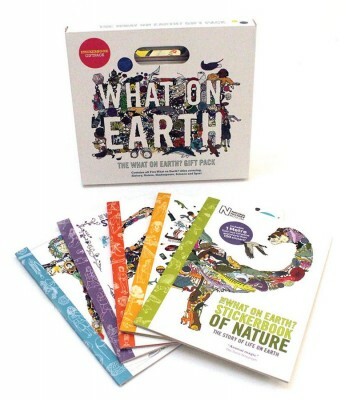 The What on Earth Stickerbook Collection arrives in its own own special gift box and is the ultimate present for curious children. Each Stickerbook comes with an amazing 1.7-metre long timeline and more than 100 stickers. Once complete tear out and display on the wall. Choose your answer and fill out the form to enter before 17th February for the chance to win. What does the word 'dinosaur' mean? The competition closes on 17th February 2017 and the winner notified on Monday 20th February.